Many of you are getting ready to work in your gardens and beautify your yards. Before you start digging in the dirt, I recommend you read Up in the Garden and Down in the Dirt. It is a scrumptious treat from cover to cover. 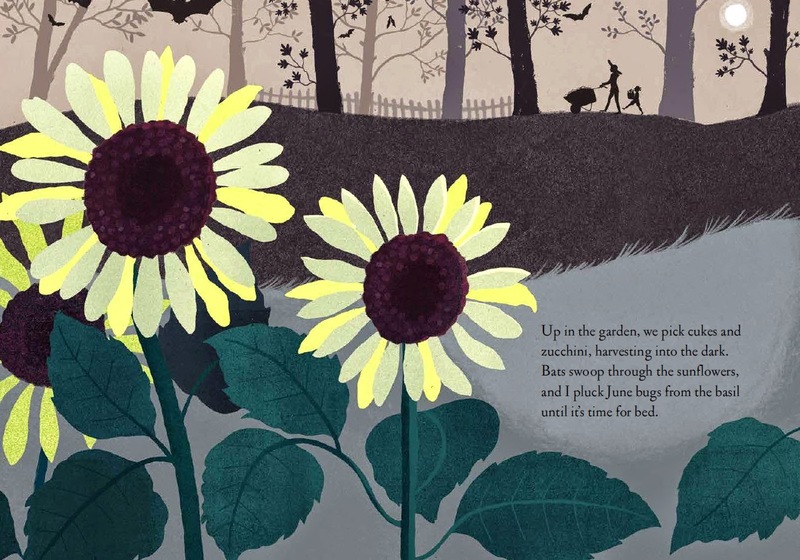 Illustrator Christopher Silas Neal dropped by to chat with me about Up in the Garden and Down in the Dirt, Kate Messner, animals, picture books, and reading. I wrote the words in red, and he wrote the words in black. Many thanks, Christopher! Kate Messner and I have worked together on two books. The second of those books is out now. It’s called Up in the Garden and Down in the Dirt. Kate writes, I draw, Chronicle books puts it all together to make something delightful and informative. 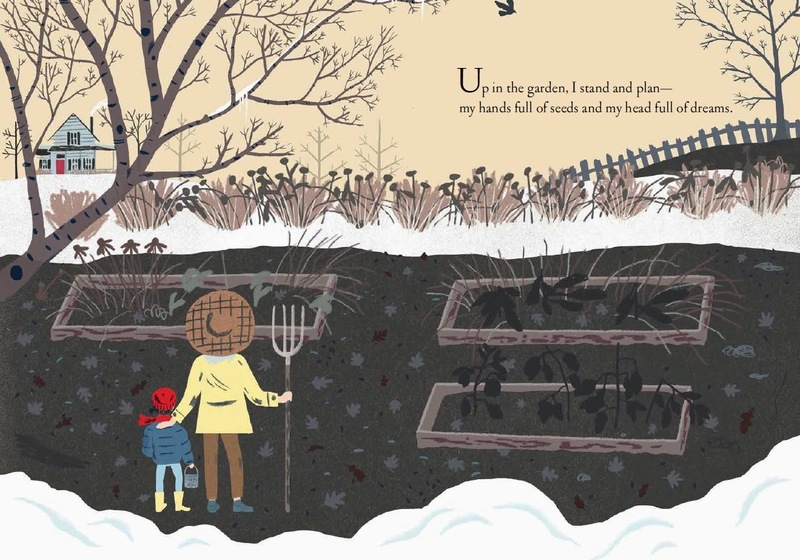 The illustrations for Up in the Garden and Down in the Dirt were really fun to make! Along with many different flowers and vegetables, you’ll find drawings of a skunk, a rabbit, a snake, and a praying mantis. My favorite thing about summer is that I ride my bike to my studio every single day. Oh, and I love the beach. Animals are amazing. I can’t stop making books about them. When I was in elementary school I loved Michael Jackson. I had an outfit with one glove that sparkled. Then I saw a Michael Jackson cover band and afterwards gave my glove to the female lead singer. She was amazing and felt she could make better use of the glove than I ever would. 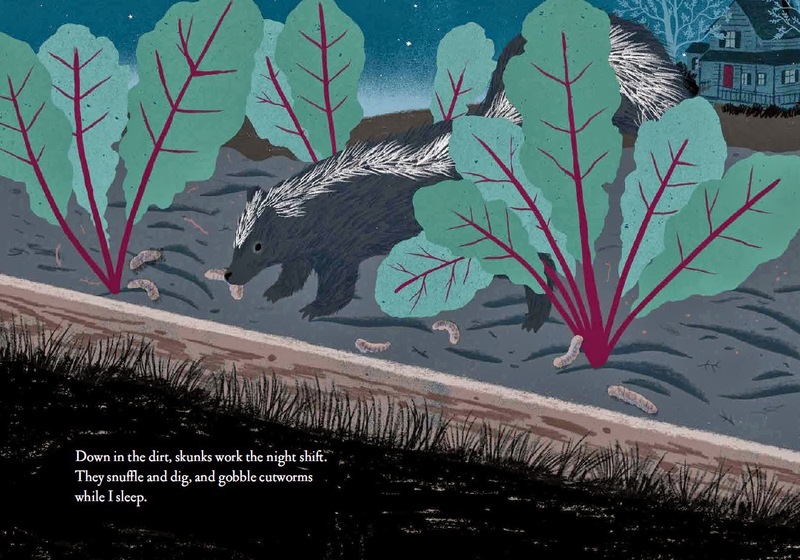 Picture books are magic and reading is nourishment. Mr. Schu, you should have asked me about my cat Fabrizio. He’s an Italian, orange tabby. Weighing a hefty 19 pounds doesn’t stop him from chasing robins in our garden. He sleeps a lot and is always hungry. I may be writing a book inspired by him. 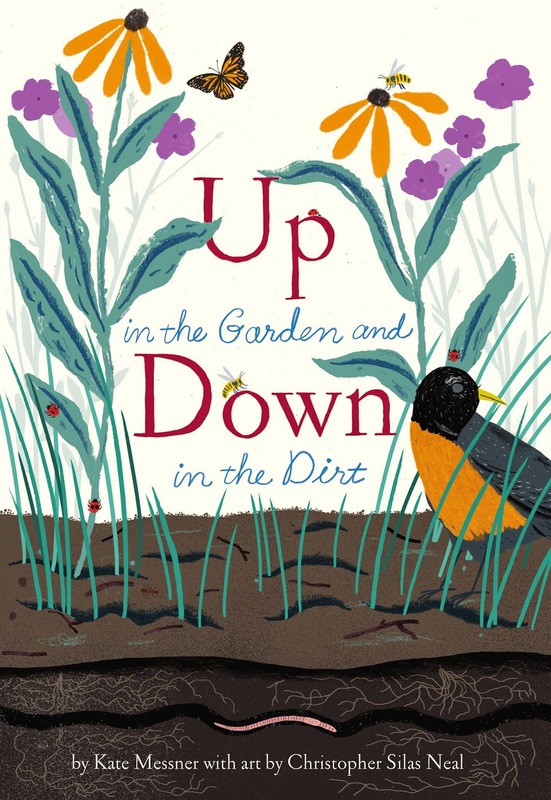 Borrow Up in the Garden and Down in the Dirt from your school or public library. Whenever possible, please support independent bookshops. I'm really looking forward to this one. 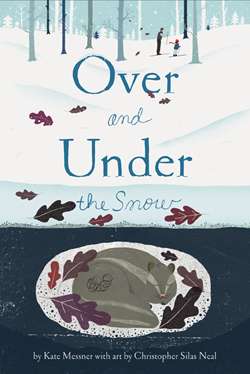 I loved Over & Under the Snow. Thanks! !